‘Tis the season for shopping! With only 62 days until Christmas (yeah, it’s that soon), our real and virtual mailboxes are filling up with catalogs, advertisements, and some amazing products. 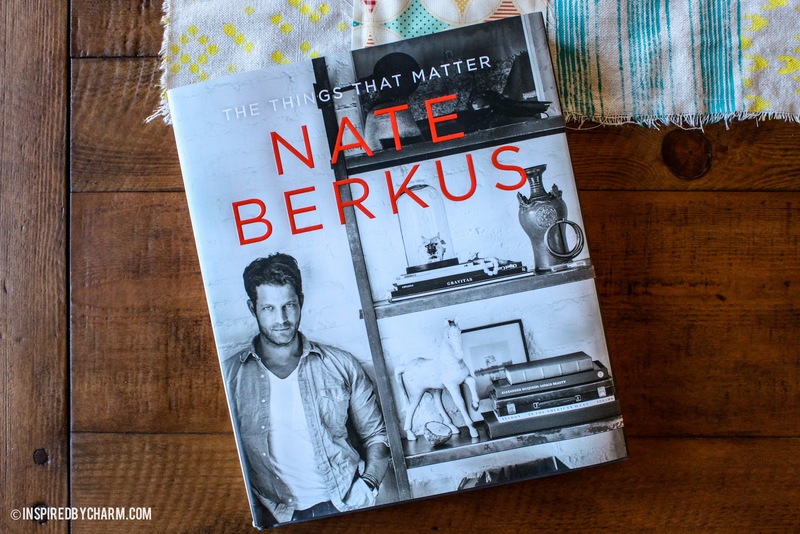 To my delight, this past weekend I received the new book from Nate Berkus as well as the Crate & Barrel Holiday Inspiration catalog. Also, as most of you already know, Nate’s line at Target launched this past Sunday. Since the nearest Target is about 1.5 hours away, I was thankful to see his collection online. Seriously, I’m not sure what I would do without the Internet. Anyway, I thought I would share a few of my favorite things from both of these collections. How does that sound? I always get a little nervous when I see designers bring their collections to the mainstream. Thankfully, places like Target and people like Nate Berkus do it oh so well! I wouldn’t say that my personal style is much like Nate’s, but he is clearly beyond talented and there are so many of his interiors or pieces of them that I just love. I may even love them a bit more after taking some time to flip through his new book, The Things That Matter. I am a huge believer that your home should be full of things that have personal meaning and importance, regardless of whether anyone else likes them. How can you not enjoy your space when you are surrounded by things you love? Anyway, I’m getting off track. Here are my favorites. And yes, some of these are currently in route to my house. I can’t wait! 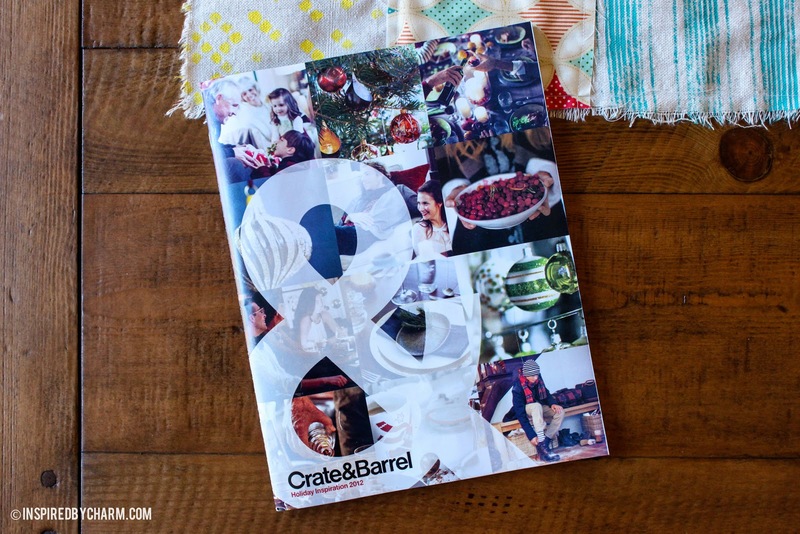 Also, a huge round of applause for Crate & Barrel‘s catalog. This sounds really weird, but I was really impressed with it. It read almost like a magazine. Beautiful photographs and tons of smiling faces really brought the products to life. I could actually envision so much of their style in my own house. What do you think of my picks? Love them? Hate them? And, I want to know… what catalogs, books, or stores are inspiring you lately? What collections are you drooling over? 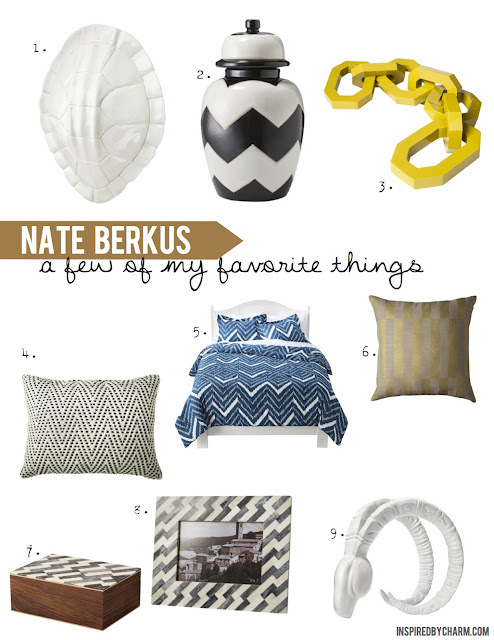 I love the chevron stuff from nate berkus, including the sorta chevron black and white box and picture frame. 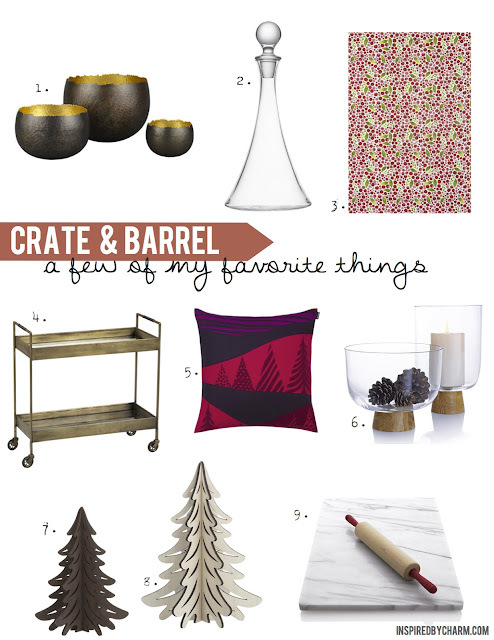 Also I’ve been dying for that c&b bar cart, but it is outta my budget for the moment. Love looking at catalogs and dreaming though!! I had no idea Nate had a new book and I love the title. After all he’s been through, it’s certainly appropriate. I made a very similar version of Crate and Barrel’s #8 out of Stainless Steel a couple of years ago. That’s funny. Love the blue chevron bedding from Nate. I’ll have to check out his new book, too!